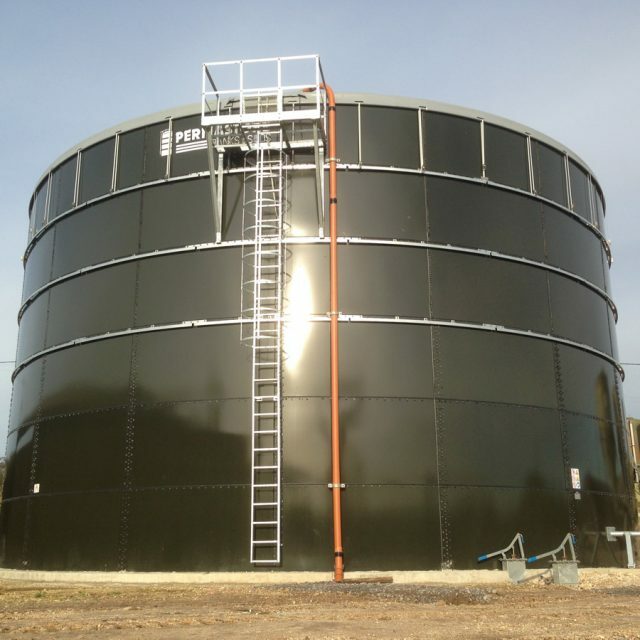 Whether it is tanks for animal slurry, or for harvesting and storing rainwater, Reliant Installations has proven experience of over 40 years catering to the storage and containment needs of the agriculture sector. We can carry out all the preparatory civil works necessary before the tank installation and we supply and install Permastore® Glass-fused-to-Steel tanks of all sizes to suit different storage requirements and systems. We also supply all associated ancillary equipment such as jetting kits, access ladders and viewing platforms, tanker draw-offs, spill pits, flanges, sluice valves and PTO driven side stirrers. Accompanying the tank, we are also able to supply various types of covers for the tanks, depending on client’s specific requirements. Choose from the different types of roof designs available, to optimise the performance of your installation and the product stored within the tank. Complementing the tank, we have all the civil engineering capabilities to carry out other on site works including slurry channels, silage clamps, reception pits, and steel portal framed buildings.